The new, surprisingly affordable W.HOFFMANN Vision grand piano V 175: bringing new models onto the market is a high responsibility to our customers worldwide! The W. HOFFMANN Vision grand piano V 175 is a real alternative to instruments from Asia. Because often the piano is not only low-priced, it is cheap. C. Bechstein has created the alternative of building instruments in Europe: The W. HOFFMANN Vision grand piano V 175 Made in Europe, is manufactured in our new European factory with the know-how of German engineering and carefully trained professionals. For C. Bechstein it is a challenge to build an upright and/or grand piano cheap but with high quality. Years of preparation and a lot of investment for building the necessary production facilities have been poured into this project.Selected components for the W. HOFFMANN Vision V 175 grand piano are defined by our unique German research and development department. Even for price conscious grand pianos essential elements are carefully selected. For C. Bechstein Europe building very affordable grand pianos means: more efficient production; lower costs in detail; no compromises in sound, touch and durability. Digital Piano function. For all grand pianos and uprights of the W. Hoffmann brand as well as this W.HOFFMANN Vision V 175 grand piano , the exclusive Bechstein Vario System will optionally be available. The Vario System is favourable for grand pianos and/or uprights, because it makes the instrument even more flexible and valuable. 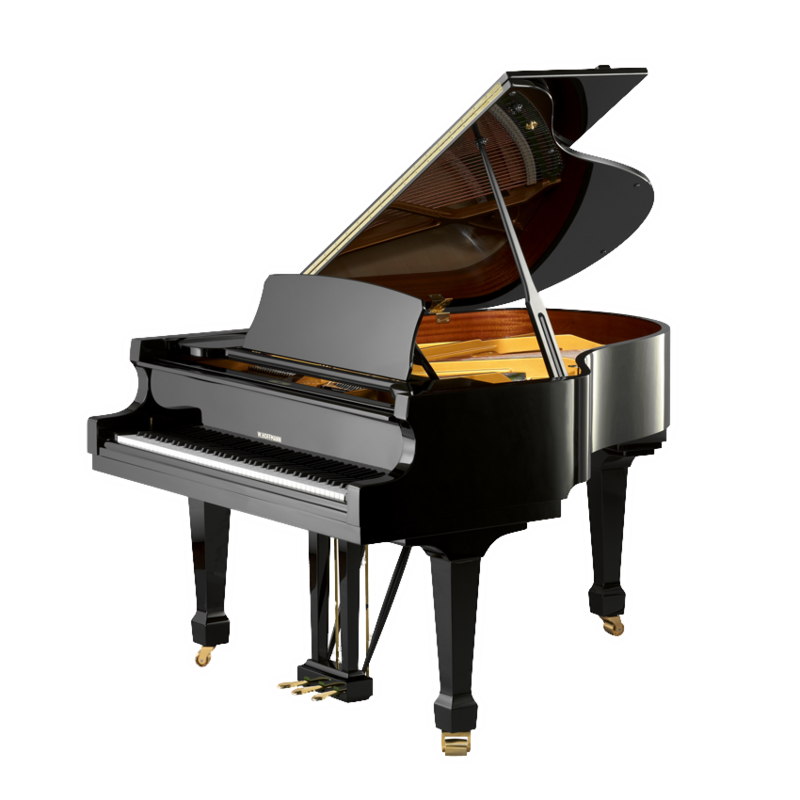 This high-profile system allows you to play and practice any time, day or night.The touch remains the same, but the hammers do not touch the strings, rather they are intercepted before touching the strings and reproduce the digitally pre-sampled sound of a concert grand piano by means of sophisticated electronic sensors. Your neighbors will love you! Please compare!